This June and throughout 2014, Google is thrilled to be celebrating Pride with the world in 35+ offices globally. With the ever increasing international focus on the LGBT community (searches for LGBT-related terms on Google have increased 41% since 2004 and started really picking up steam in March 2010) it has become even more evident that despite the marriage equality gains made in the United States, much more work needs to be done to ensure the safety and rights of the LGBT community everywhere. The challenges will continue, but so will the celebrations -- here are the top 5 ways we’re celebrating Pride Google-style. In February, Gayglers (LGBT Googlers and Allies) marched for the fourth year in Sydney’s Mardi Gras Celebration to show our support for marriage equality. 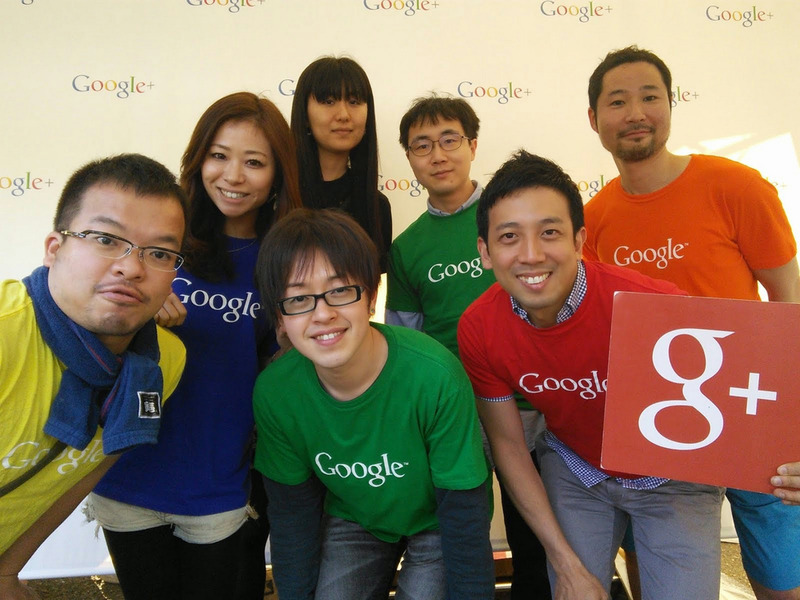 In April, we participated in the Tokyo Rainbow Week Pride Parade. 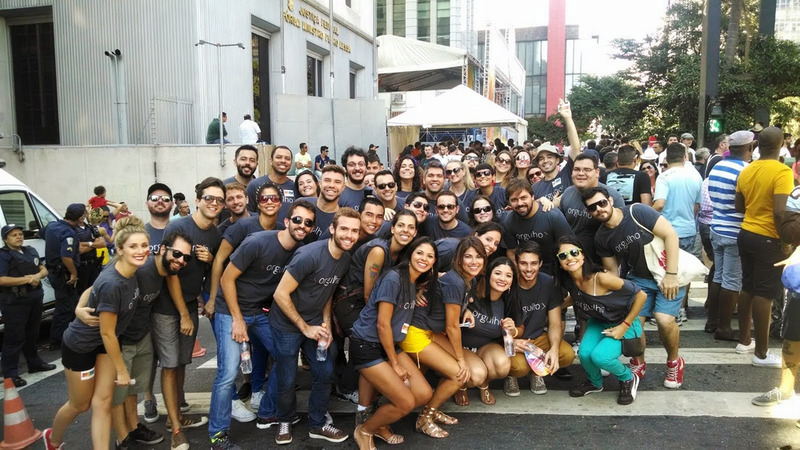 In May, we danced through the streets of Sao Paulo. We embellished the Google signs at our Mountain View Headquarters and the New York City office with rainbow “O’s”. 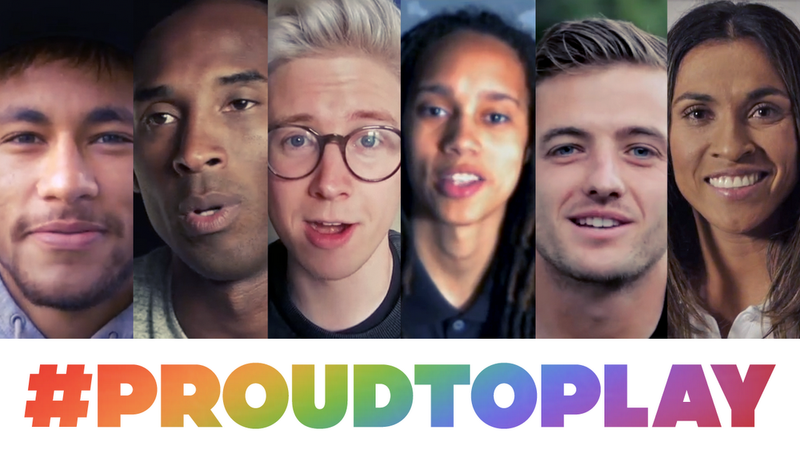 Off the heels of our Google Doodle on the opening day of the Winter Olympics, we continued to show our support of a world where every athlete can be Proud to Play through #ProudToPlay on YouTube. 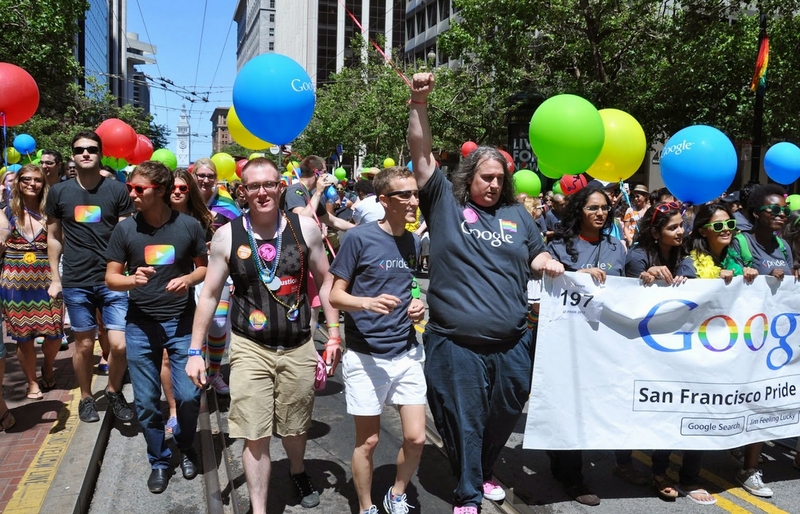 We’ve got 10 more Pride celebrations after June and are looking forward to thousands of Proud Googlers walking in the San Francisco and New York Pride parades on Sunday, June 29th. 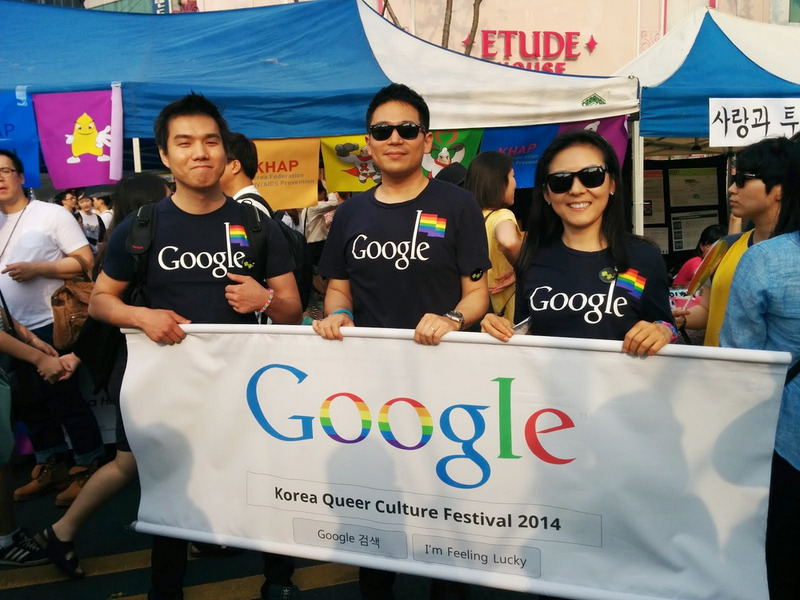 Google’s Pride is spreading: We are now the first-ever corporate sponsor and contingent in the Seoul Pride Parade, and a Gaygler contingent is marching for the first time in Mexico City. 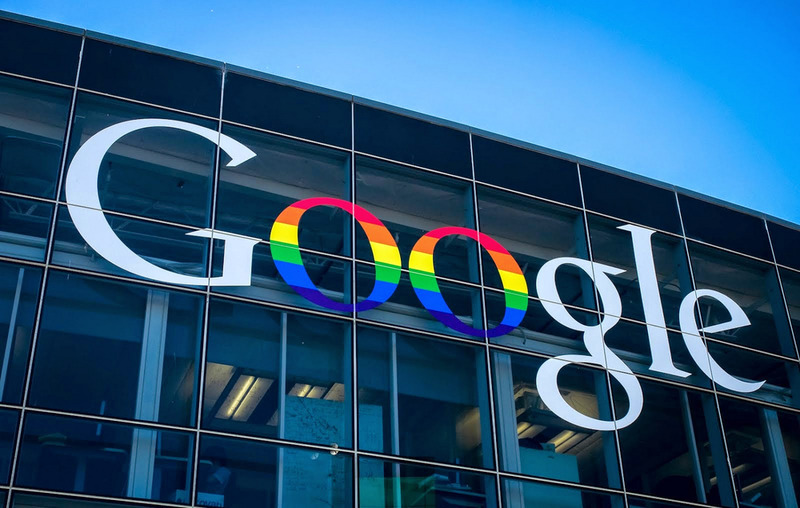 And, thanks to the valiant planning efforts of a Gaygler ally, Google will be represented at WorldPride in Toronto this year - we’ll be the ones with a double decker bus handing out Google Pride stickers, wearing Google Pride t-shirts! This year, you can enjoy Pride from anywhere - whether your town has a march or not. On June 29, The NYC Pride March will be home base for #Pridecast, a live, online Pride celebration on Google+ and YouTube. Along with NYC Pride, we’ll be streaming the best moments from the march, and bringing in well-known LGBT advocates -- like Laverne Cox of Orange is the New Black, Jonathan Groff of Glee and Frozen, activist Rea Carey, and Scandal’s Dan Bucatinsky -- in person and from around the world via Hangouts On Air. Celebrate with us - and tune in on Google+ and YouTube at 12:30pm ET on Sunday, June 29. These are just a few ways Google is celebrating Pride Month. We encourage everyone to continue to celebrate well beyond this month--to keep marching, to keep speaking up--until gay rights are fully recognized for what they are: basic human rights.